the didactic lab related to nature and animals. Furthermore, Siua, throughout the years, has promoted theoretical and practical activities in order to enlarge our knowledge of the other species. the study of bioethics and the identification of non-human animal as moral patients with inalienable rights. The research within bioethics is also an other important field of Siua, carried out through the “Research Centre on Bioethics and the Thought of Complexity” and two editorial products. They are called ‘Quaderni di bioetica’ and ‘Questioni di bioetica’ and offer important reflection on data labs with several scholars’ contributions. The main goal of Siua is suggesting a correct relationship with other species and implementing the respect of animal alterity following a logic of the non-human’s integration in human communities. In a biocentric and posthumanist view of a human-animal relationship, Siua has published several works with the aim of leaving speciesism and anthropocentric interpretations which are still in use in all fields of knowledge. Concerning the study of cognitive and behavioral science, Siua has deeply modified the landscape of dog’s education and training by introducing a didactic approach in place of the traditional dog’s training based on the chain of stimulus-response. Within cognitive approach educational and learning explanatory models have been analytically developed in order to evaluate the consequences by following a rigorous scientific method. In the last decade, that has resulted in the formulation of the “Guidelines of Evolutive Activities”. This document has been well-received in Italy as well as abroad due to the projects of “dog’s citizenship” and different kinds of partnership activities. Nowadays, Siua research generates many academic handbooks and awareness material. Currently, there are more than 100 evolutive activities in Siua’s programs. 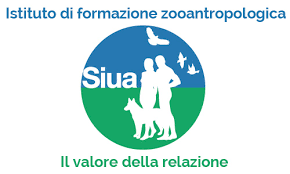 During ’90s, Siua carried out the project “Shelter Park” (Parco Canile) in order to transform the traditional shelter into a zooanthropological centre for promoting dog’s adoptabilities. In the last fifteen years, Siua has developed a relational-cognitive approach and has deeply transformed the treatment of behavioral problems. Lastly, important formats for social, education and recreational activities such as “Six Paws Walker” (Passeggiata a sei zampe) or “Cino-vita” have been developed in order to implement dog-trainer’s services to people and local communities. He was born in Bologna in 1959. After being awarded of a degree in Veterinary Medicine at the University of Bologna, he worked as consultant in projects for animal rights protection and for Animal Welfare of many public and private Italian organizations. He is considered one of the greatest exponents of zooanthropology, a discipline whose aim is studying the relationship man-animal from a non-anthropocentric perspective. In this context, he promoted and spread projects in applied zooanthropology funded by the Italian Ministry of Health. In addition, he coordinated several research groups in order to analyze the relational and dialogic value of animals in our society. He became professor at the beginning of 2000s and has taught courses in zooanthropology, animal welfare and cognitive ethology in several Italian universities. He also held speeches and conferences in various foreign universities and research institutes (Chile, Brazil, Spain, the Netherlands, France, etc.) promoting his disciplinary approach outside the national borders. Great connoisseur of the animal world in all its incarnations, he is a prominent figure in the international cognitive ethology. In fact, he has attributed an active and performing role to the animal, which was instead considered a mere executor of automation in ancient times and also by the classic ethological and the behaviorist approaches. He is also a historical Italian activist for animal rights. He began working as an activist in the early ’80s, becoming a key figure in the Italian landscape of animal rights with his text-investigation on the intensive farming ‘Oltre il muro’. He continued his activities in the ethologic and philosophical field developing a thought able to redefine the role of non-human animals in a non-anthropocentric way. He is the founder of the cognitive-zooanthropological approach in canine education and pedagogy and he is the director of Siua, the School of Human-Animal Interaction, based in Bologna. Siua is an educational institution at the forefront for education, canine education and didactic, welfare zooanthropology. More than thousand people have been formed by Siua in the last fifteen years and they provide a network operating all over Italy and abroad. Apprendimento animale: nuovi modelli di spiegazione, in Praxsis veterinaria, v. XXXIV, n. 1, March 2013, pp. 7-14. With ‘Post-human’ (2002) he has become one of the most important representatives in the Italian philosophical landscape. He is author of more than fifty publications in academic journals and books. implementing fellowships in foreign Institutes. R. Marchesini, (2013) A Cognitive-Relational Approach to Animal Expression: Revisiting Cognitive Paradigms, in Methode. Analytic Perspective, Torino, pp. 156 – 171. Available here. Marchesini, R., (2013), Mimesis. The hetero-specific as Ontopoietic Ephifany, in Past, E. M, Amberson, D, The animals and the Posthuman in Itlian Literature and Film, New York Pelgrave McMillan. visit Roberto Marchesini’s Academia.edu page. University of Utrecht, the Netherlands, Minding Animal International Conference – June 2012 Domestication and Epimeletic Character of Men. University of Dubrovnik, Croatia – September 2012, Beyond Humanism Conference Series, Beyond Anthropocentrism. Università Roma 3 – September 2013 Beyond Humanism Conference Series, Hybridizations At the roots of the anthropopoietic process. ICAS 3rd EU Conference for Critical Animal Studies – Karlsrhue (Germany) November 2013, Anthropo-decentralizations” Nonhuman alterities and the post-human project. For any queries related to foreign activities of Siua or Roberto Marchesini’s International projects, please feel free to contact: Dr. Eleonora Adorni, MA in Cultural Anthropology and Ethnology (Alma Mater Studiorium, Bologna) with a dissertation topic in human-animal interaction. This entry was tagged education, empirical, interaction, research, school, science.